“CONCEPTION ART FAIR is set to make it’s Frieze Week debut in 2017. Fresh from it’s success during Art Basel Week in Miami, Conception will debut a roster of international contemporary artists during Frieze week, New York City. 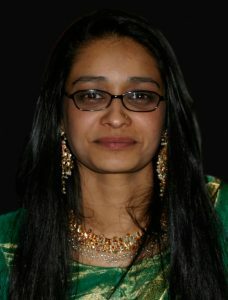 Maria Mohiuddin was born in Bangladesh in 1973, and has lived in New York for the past 30 years. Maria works predominantly in wax, oil pastels, and fire. Her previous mediums included acrylic and oil paints. Maria’s work represents a portrait of her life, environment, influences, and those who inspires her the most. Maria has a bachelor’s degree in studio art and psychology from Denison University. In 2006, she was a part of two group shows with the First Annual Harlem Summer Art show and the Tribeca Art show. In 2017, Maria is one of 11 exclusive artists featured in the Conception Art Fair in Soho, NYC. Maria Mohiuddin was born, alongside her identical twin, in Bangladesh in 1973 and has lived in New York for the past 30 years. Mohiuddin’s work is predominantly created in wax and oil pastels – materials that compliment her curious obsession with fire. Her long time experimentation in wax media spans from 2005 to the present. She began using wax as a predominant tool after destroying a displeasing piece of oil pastel with candle wax. In 2006, she was a part of two group shows with the First Annual Harlem Summer Art show and the Tribeca Art show. ALL RIGHTS RESERVED © 2019 Mahan Arts.